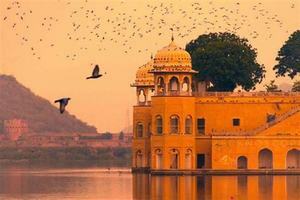 Jaipur is the capital and the largest city of the Indian state of Rajasthan in Northern India. It was founded on 18 November 1727 by Jai Singh II, the ruler of Amer after whom the city is named. As of 2011, the city had a population of 3.1 million, making it the tenth most populous city in the country. 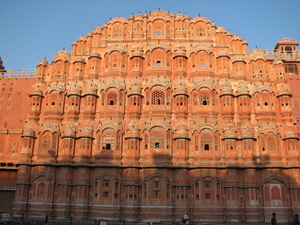 Jaipur is also known as the Pink City, due to the dominant color scheme of its buildings. It is located 280 km (174 miles) from the Indian capital New Delhi. Jaipur is a popular tourist destination in India and forms a part of the west Golden Triangle tourist circuit along with Delhi and Agra (240 km, 149 mi). Jaipur has been popularized with the name of Pink City because of the color of the stone exclusively used for the construction of all the structures. Anyone who has witnessed the city can substantiate the fact that all the buildings of Jaipur are pink in color. The pink color has its own history. In 1876, the Prince of Wales and Queen Victoria visited India on a tour. Since pink denotes the color of hospitality, Maharaja Ram Singh of Jaipur painted the whole city pink in color to welcome the guests. The tradition has been sincerely followed by the residents who are now, by law, compelled to maintain the pink color. Pink in color and pink in vibrancy, the city of Jaipur is one of most beautiful and magnetic cities of India. One always falls short of words while describing the bounteous charm that the city captivates the visitor with. The culture, architecture, traditions, art, jewellery and textiles of Jaipur have always charmed the travelers. It is one city that, even after modernisation, still holds to its roots and values. 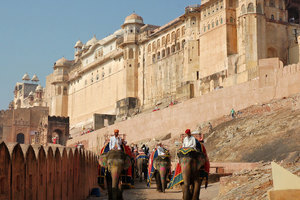 Apart from being the capital of Rajasthan, Jaipur is also the largest city of the state. The foundation of the city dates back to the eighteenth century, with credit to the great warrior and astronomer Maharaja Sawai Jai Singh II. The glorious past of Jaipur comes alive in the palaces and forts in the city where once lived the royal clans. The majestic forts and havelis, the beautiful temples, the serene landscapes, and the rich cultural heritage, have made Jaipur an ideal destination for tourists. 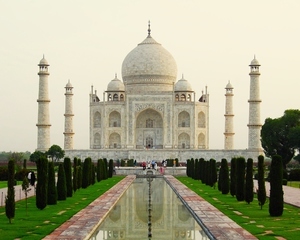 The Taj Mahal meaning "Crown of the Palace" is an ivory-white marble mausoleum on the south bank of the Yamuna river in the Indian city of Agra. It was commissioned in 1632 by the Mughal emperor, Shah Jahan (reigned from 1628 to 1658), to house the tomb of his favourite wife, Mumtaz Mahal. The tomb is the centrepiece of a 17-hectare (42-acre) complex, which includes a mosque and a guest house, and is set in formal gardens bounded on three sides by a crenellated wall. The Taj Mahal was designated as a UNESCO World Heritage Site in 1983 for being "the jewel of Muslim art in India and one of the universally admired masterpieces of the world's heritage". 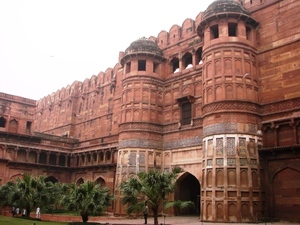 It is regarded by many as the best example of Mughal architecture and a symbol of India's rich history. 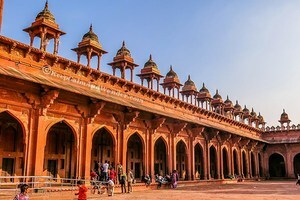 Muhgals were famous with their love of architecture, and the most of the fascinating buildings that one can see today belong to the Mughal period between 15th and 16th centuries including the three UNESCO World Heritages: Taj Mahal, Agra Fort and Fatehpūr Sikrī. The Taj Mahal attracts 7–8 million visitors a year. In 2007, it was declared a winner of the New 7 Wonders of the World (2000–2007) initiative.